The myth talks of a girl leaving the taps of her house running to drown her wicked mother-in-law, thus creating lake Zazari. From photogenic Zazari to atmospheric Cheimaditida, from Vegoritida to eerie Petron, the journey to Florina’s four lakes is enchanting. Florina’s many different features make it a magical place with dense forests, stone houses and cobbled streets, golden reeds, calm waters, flocks of birds and friendly locals. Zazari, Cheimaditida, Vegoritida and Petron are all that remain of a larger lake, Eordaia, that once occupied 1,000 square kilometers and had a depth of 250 meters. 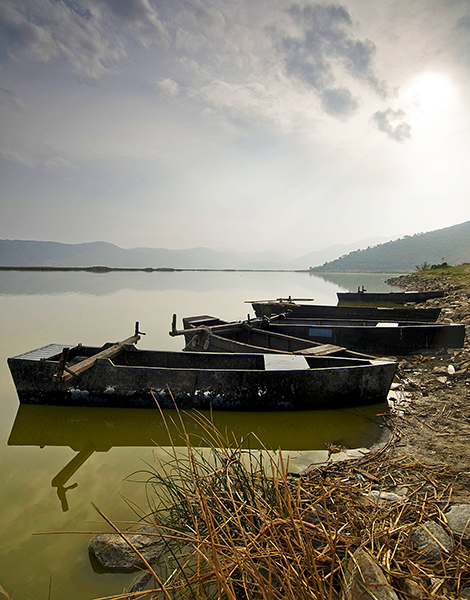 The myth says that the lake of Vegoritida was created by a well that a girl forgot to cover, flooding the plain. Another talks of a girl leaving the taps of her house running to drown her wicked mother-in-law, thus creating lake Zazari. But if we get started on the myths of the region, we’ll never finish. 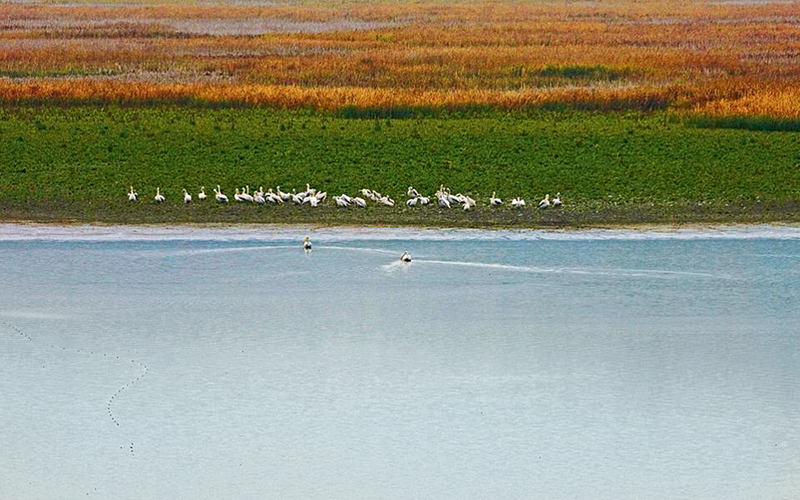 The largest lake is Vegoritida, the smallest, Zazari. All four are important natural habitats, integrated in the Natura 2000 network and are home to innumerable birds and many species of fish. The lakes are connected via a system of dykes whereby the smaller ones feed excess water to the larger lakes. No matter how many times you visit, you’ll notice the special light that surrounds Zazari, the melancholy air of Cheimaditida and the eerie sensation created by the green waters of Petron. Vegoritida is set apart by its vastness. 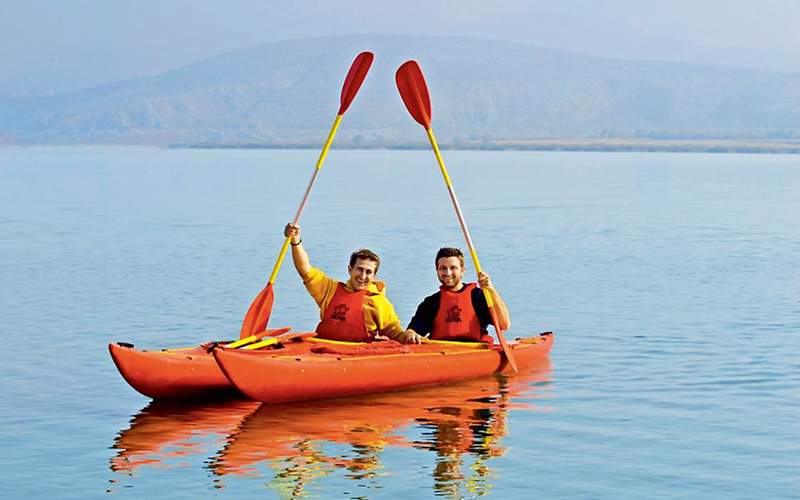 Vegoritida lake is considered to be ideal for surfing, yet the canoe kayaks are not missing! “I wouldn’t change life alongside the nature of the lake and with good company for anything in the world. Each year we have an even better time. Every year the friends increase. There is no greater happiness. ” said Dimitris Voglidis simply. His lifestyle of canoeing on lake Zazari, horseriding on the banks and collecting mushrooms in Vitsi forest soon attracted the attention of his friends. Eventually, his passion turned into a job and as he shares his in-depth knowledge with visitors around the shores of the smallest lake. A little farther, two or three kilometers from Limnochori, you reach Cheimaditida. Here, things change. This is not a touristic lake and approaching it is less straightforward thanks to the thick reed beds that surround it. Pastures once existed on these banks, and in the 18th century, all the nomads of the areas wintered here. Now there are only 4-5 ranchers here permanently, and fishermen, thanks to the lake’s abundance of fish. 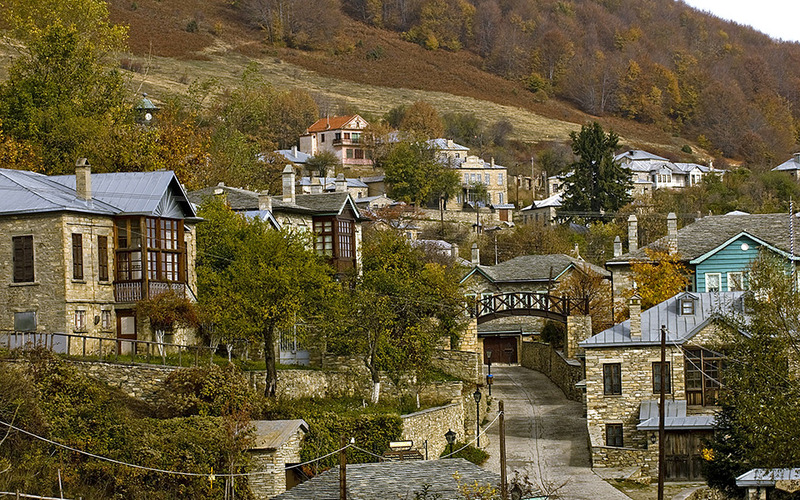 Nymfaio village is thought to be the most picturesque village of Greece. 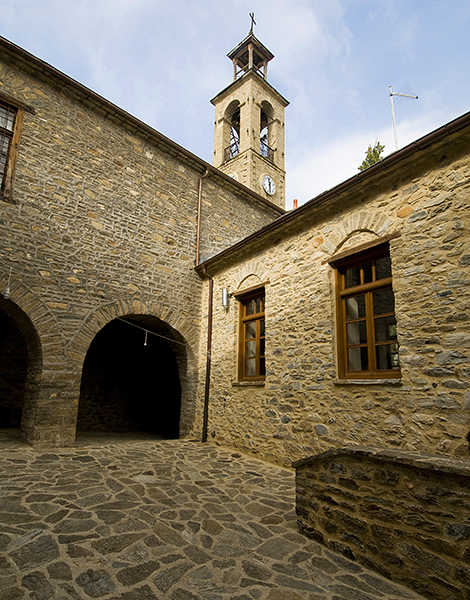 There is plenty to see in the area around the lakes, such as the Byzantine churches in Aetos, Lechovo with its stone houses and cobbled streets, the eraser and pencil sharpener museum of Valtochori which displays the collection of Dimitra Koutsouridis, who, although blind, amassed a collection of 8,514 pencil sharpeners and earned a place in the Guinness Book of World Records. But first, visit Nymfaio. As you ascend the twists and turns of the mountain road, you get a great view of the lakes, the valley and the surrounding mountains until you reach Nymfaio, a village that will truly make your jaw drop. The village buildings have been restored and new constructions are kept to the standards of the old mansions, the streets are cobbled and power cables run underground and roofs made of sheet metal that don’t hold the snow. Much its current image is thanks to Nikos Mertzou (former president of the School of Macedonian Studies) and the mayor of Thessaloniki Yiannis Boutari, who funded many projects. Nymfaio has been dubbed one of the most beautiful and tourist villages in Greece. It was once equally famous in the 17th to 19th century as the largest commercial silversmith center of Upper Macedonia, and its inhabitants excelled as merchants. 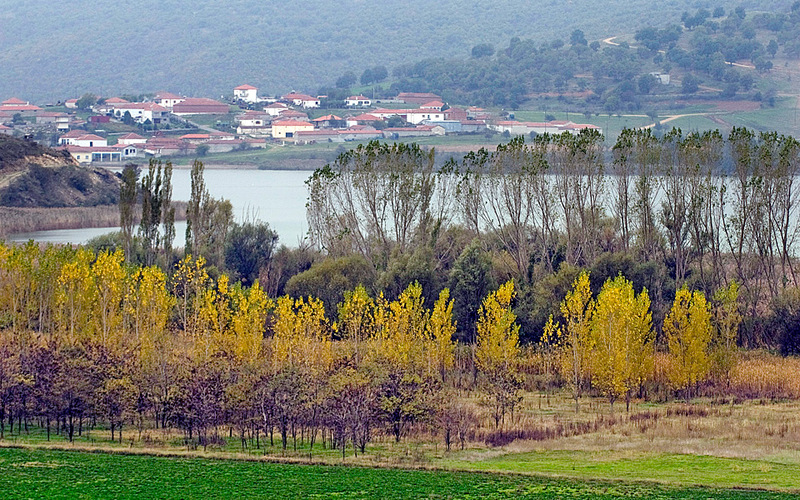 The Limnochori village located at the banks of Zazari lake. “Amen and adieu!” residents of Amyntaio once used to say, paraphrasing the place’s name. Amyntaio is famous for it wine, more specifically, the popolka variety of grape which produces the region’s acclaimed Xinomavro red wine. Across 7,500 hectares of vineyards and at any of the eight wineries here, they’ll tell you that the secret is the microclimate, the soil, the altitude – basically the magic of the mountains that surround the plain of Amyntaio. If you’re not already drunk by the time you get to Agios Panteleimonas, you will be afterwards. 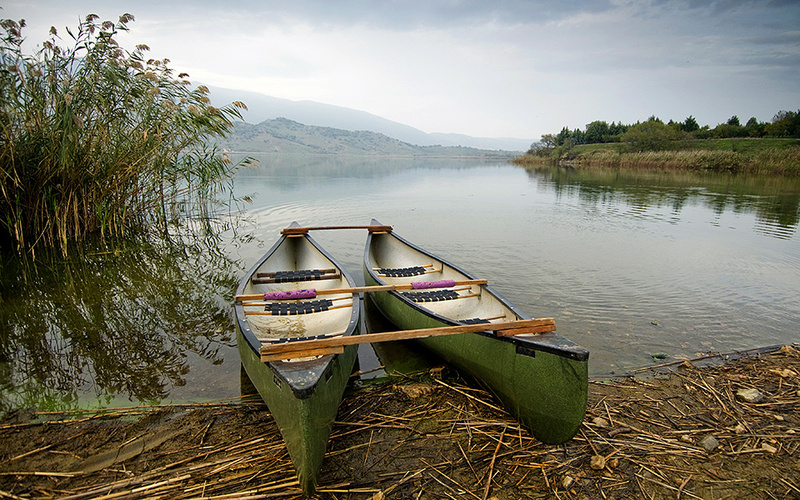 The lake of Vegoritida is divided across the prefectures of Florina and Pella. A tour around it is wonderful, be it in the lakeside villages, next to the water or over the hills, in places isolated or developed. But the last word in the tour goes to Agios Panteleimonas. Old neighborhoods, the ancient graveyard that testifies to the eternal habitation and the famous Naoumidi family which transformed the humble florina pepper into a culinary star. The family cultivates organic peppers with its own heirloom seeds, the processing of which employs all the village women the end product comes in jars of 12 wonderful varieties. If you come in the winter, you’ll spend your time drinking and chatting with locals in cafes and taverns. If you come in the spring and summer, you can while away your time with activities on the lake or on the beach which now has its own beach bar! If you come in the autumn, a visit to the wineries is a must. Whenever you decide to visit and whatever you decide to do, you’ll find an otherworldly beauty that sets this region apart. 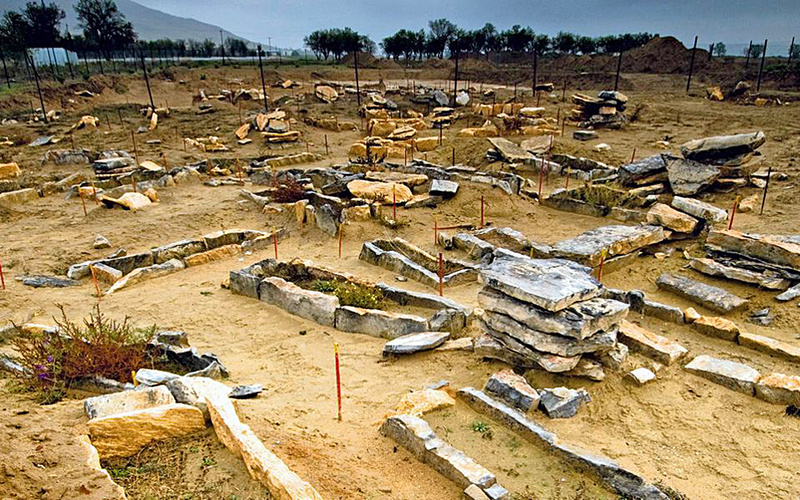 The Florina region lies approximately 530 k north of Athens by road. The distance from Thessaloniki is 150 k.
There are flights several times a week from Athens International Airport El. Venizelos to Kastoria National Airport, which lies 78 k from the center of Florina.